1984: UNESCO comes out with a report, which articulates the necessity for a common core curriculum. The reportidentifies two problems with the execution of this effort, 1) “The absence of mutual information…education, culture, and communication are not complimentary and do not conform to a general plan of development, and 2) the absence of mutual information and mutual coordination.” The ability to provide the technology-driven infrastructure for such coordination would arrive in the late 1990’s. “Big businesses have discovered how important management is to be well run, efficient and competitive … they utilized the potential of technology to restructure their procedures and overhaul their processes of production, distribution, training, feedback, maintenance and administration. But the education systems have been slow in exploiting the power of technology. Many educational institutions and systems have introduced simple management and statistical information systems. But this should be only the beginning. Two inter-related measures are needed: First, education systems need to undergo a structural re-engineering of their processes and techniques and to modernize their procedures and applications — at different levels of decision-making and administration. Second, communication andinformation technologies must be an integral part of the restructuring design and application. Mr. Parde served ALEC from 1996 to 2006. In 2007, he also worked for corporate consultancy Phoenix Strategiesin Washington DC and National Taxpayers Union (a member of ALEC). Phoenix Strategies was established as a consultancy team which includes seasoned and professional senior level members of the Bush administration. “It specializes in business development, lobbying and consulting. They have represented industry areas ineducation, manufacturing, technology, pharmaceuticals, energy and associations. 2004: Teaching At Risk. Established and chaired by Lou Gerstner and supported by The Teaching Commission. The goal of this campaign is “to raise student performance by transforming the way in which America’s public school teachers are recruited and retained.” This document recommends new teacher evaluations, alt cert programs like Teach for America, merit pay, charters, vouchers, and union busting. It states: “This welcome partnership would set acommon national standard for what new teachers should be expected to know—but states will still need to do their part by adopting the new, higher standard.” The Teaching Commission is supported by Dell Foundation, IBM, The BOEING Foundation, and Lou Gerstner, among others. Jan 2014: The Education World Forum Global Summit for Education Minsters is held in London. It is the largest annual gathering of international education ministers. Platinum Partners for this event are Promethean,Microsoft, and Pearson. Education Ministers were joined by Deputy Prime Ministers and by leaders from global and international organizations including the World Bank, the OECD and UNESCO, as well as by senior representatives of international corporations with focus and commitment to education and its support. These corporations included HP, Intel, JPSaCouto, Microsoft, Pearson and Promethean. The continuing war on public education represents a grave danger for parents and teachers engaged in the struggle to preserve educational opportunities for not only this, but also for future generations. With communities all over the country facing the possibility that their neighborhood schools could be closed, the inherent inequality in which many of the decisions are made is shocking. As we make resolute decisions to stand against the corporate forces poised to engulf, strangle, and starve our public school systems it is important that we take careful note of the weapons of war being deployed against our schools. One of the most significant weapons comes in the form of the high stakes tests that are turning our schools into little more than test-prep centers. This is only a stop-gap on the road to schools being labeled as failing schools while the real issues of poverty and inequity are ignored. In New Jersey, such ratings have already led to disastrous results, as evidenced by the One Newark Plan. High stakes testing has become the centerpiece of resistance against corporate education reform, particularly in white suburban areas where parents feel that their right to make decisions concerning the education of their children has been infringed upon. Not as vocal in the current resistance to testing are the cries coming from our disadvantages communities that are fighting a different, more urgent battle against the systematic closing of neighborhood and community schools. Parents in urban areas tell of supply shortages, unsafe learning conditions, and the lack of necessary services for the children. In reality, these communities far more devastated by the results of these high stakes testing and should have even a greater reason to cry out against them. These tests are often the main determining factor upon which a majority of educational decisions are based that include the closing of community schools that force children to unfamiliar locations as well as approval of charter school chains that use the false promise of school choice to cherry-pick and skim their students. When schools are identified as low performing, with high-stakes testing scores as the main measure used to make this determination they are placed under the oversight of Regional Achievement Centers (or RACs). The theory behind RAC is that resources will be shifted and allocated to support the “focus” and “priority” schools. Theoretically, it seems that RACs would greatly benefit schools that have displayed a large achievement gap through the provision of much needed resources to close that gap. However, it has been revealed that the financing behind these RACs include a large grant for funding from the Broad Foundation, an organization created with the intent of closing public schools. Under the guise of meeting accountability requirements, money has been spent on items that do not directly benefit the students within the district. In reality, what has happened has become a nightmare for those who support public education. Under the guise of meeting accountability requirements, money has been spent on items that do not directly benefit the students within the district. Consultants are brought in to analyze current curriculums and systems, make recommendations and then leave, their wallets having been made fatter for the experience. Technology is upgraded, or purchased new, only to be locked away so that it will be ready for the PARCC – a computer based assessment. The goal of the entire district becomes united, but it is not a goal of making decisions that best benefits the children. It is not the goal of providing a safe learning environment for all. It is not the goal to instill a joy and love of learning in the youngest to the oldest of students. Instead, the goal is to raise test scores high enough to rid the district of the “focus” and “priority” labels. With this goal in mind, test-focused programs are implemented as child-centered learning, education of the whole child, and teacher autonomy become distant memories. When analyzing statistics of the schools and districts that are labeled “focus” and “priority”, a direct correlation is revealed. Districts labeled as such are mainly concentrated in areas that serve a larger population of black and brown students. Economic disadvantages social inequality, lack if resources, and the blatant inequity seen in these areas puts the students at a greater disadvantage when facing high-stakes testing. In fact, research shows that they enter school much more disadvantaged than their white, suburban counterparts. As a result, the state has singled out public schools that serve predominately Black and Brown students in poor neighborhoods for disparate treatment. The implementation of corporate reform education policies has done nothing to re-allocate resources that would level the playing field to give these students an equal chance. Instead, we have been brought back to a day of racial and socio-economic policies that continue to hyper-segregate our public schools. The publication of Time magazine’s cover attacking teacher tenure also marked the one-year anniversary of New Jersey Governor Chris Christie’s infamous attack on New Jersey middle school teacher Melissa Tomlinson. The image of the Governor sternly chastising a polite middle school teacher for asking a question, against the backdrop of a state wide investigation into fiscal mismanagement in education, made national headlines propelling Christie and Tomlinson into the national spotlight. 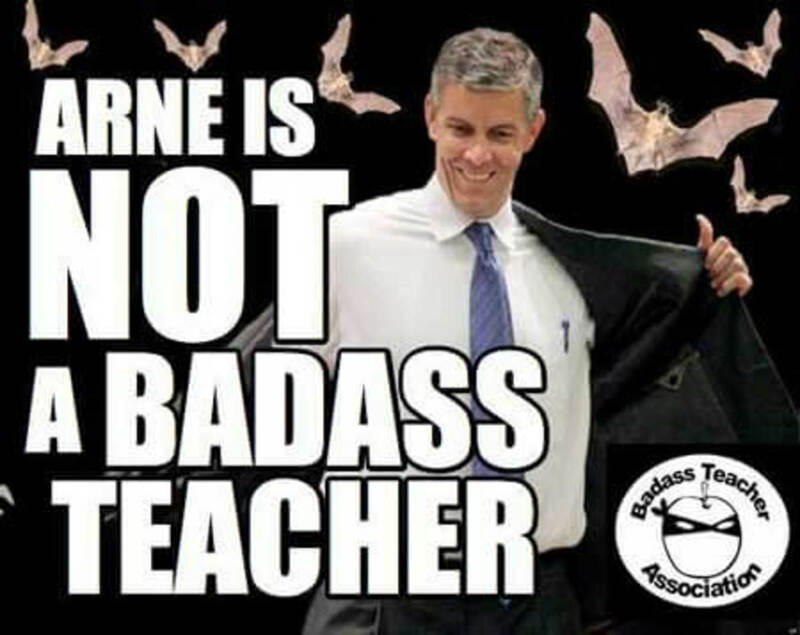 Denied the opportunity for a reasoned dialogue by Christie’s angry outburst, Tomlinson responded in a post on Badass Teachers Association co-founder Dr. Mark Naison’s blog. “What do ‘we people’ want, Governor Christie?” she asked again seeking the space for dialogue. “We want our schools back. We want to teach. We want to be allowed to help these children to grow, educationally, socially, and emotionally. We want to be respected as we do this, not bullied. Tomlinson never anticipated that her story would make the national news Nevertheless; she was encouraged by the expressions of support that poured in from around the nation. Most were emails and letters from teachers appreciative of her courage in speaking out. It was an important moment. Tomlinson symbolically stood for every teacher silenced and bullied by politicians, pundits, and public administrators quick to blame teachers for problems in the schools. “It was galvanizing for me,” recalled Arizona teacher and activist Kathie Wing Larsyn. In subsequent interviews, Tomlinson deftly linked race and poverty to her message, continuing to touch a nerve with many parents and teachers disturbed by high stakes testing and other signs of decay in corporate education reform. Melissa was the canary in the coal mine. We saw what he did to her and we were like is that all you got. Now we see kids taking the streets and the parents taking the streets in Newark and Camden. We are no longer afraid. Highlighting her association with the Badass Teachers Association, Tomlinson offered teachers another outlet to find support and express themselves. “BATs exploded after Christie stuck his finger in her face,” recalled BATs General Manager Marla Kilofoyle. Here you have this tiny woman step up and confront a man who had bullied and pushed around her profession. She didn’t back down and I think that she raised the bar for what we really need to do. We need politicians to be afraid of that wherever they go. Tomlinson was not the only teacher to stand up, of course. But, her story resonated with many who had become accustomed to seeing the plight of public education as hopeless and victory by the corporate education reformers as inevitable. Fyodor Dostoyevsky wrote memorably in his masterpiece, Crime and Punishment, “Power is given only to him who dares to stoop and take it … one must have the courage to dare.” In speaking out against Time Magazine and up against the likes of political bullies like Chris Christie, Andrew Cuomo and Tom Corbett who have waged war on public education, teachers like Melissa Tomlinson and others dare to speak truth to power in pursuit of true educational equality and economic justice. Given the power of its symbolism, many individuals and entities have attempted to appropriate the legacy of the civil rights movement for their own purposes. In 2010, for instance, conservative talk show host Glenn Beck led a march on Washington to restore what he professed was the distorted history of the movement. While Beck’s tenuous appeal to the movement’s heritage might be dismissed, the danger of misappropriation of its core values of justice and equality are greater when the person or group doing the usurping can legitimately lay a claim to that legacy. This has become clear recently with a campaign to promote the Common Core State Standards by the National Urban League, which played an important if less visible role during the civil rights movement. Marc H. Morial, president of the National Urban League, has declared that the Common Core will “help bridge the achievement gap by leveling the playing field so that all students, regardless of race, geography or income, have an equal shot at gaining the knowledge and skills necessary to succeed in the 21st century global economy.” This fall, the National Urban League haspartnered with Radio One to deliver this message on multiple media platforms. We agree that education should empower young men and women, of whatever race or background, to succeed in college and careers. Our contention, however, is that the Common Core’s promise does not correspond to its reality. More strongly, we contend that the Common Core betrays the civil rights legacy more than advances it. In his recent book on the origin and consequences of No Child Left Behind, the political scientist Jesse H. Rhodes explains why civil rights activists support the idea of national education standards. For years, activists demanded that black children have the same opportunities as white children, including science and history courses, music and theater programs, and qualified teachers running small classes. The equity movement failed, however, to produce measurable results and overcome conservative opposition. The idea of educational standards, however, unites civil rights and business groups convinced that all Americans need a quality education. That is why both the National Urban League and the US Chamber of Commerce support the Common Core. The excellence movement, as it is called, may succeed where the equity movement didn’t. Yet good intentions do not always translate into effective policies. The National Urban League, whose mission “is to enable African Americans to secure economic self-reliance, parity, power and civil rights,” is on shaky ground with the Common Core. We can identify at least three reasons why the Common Core is already harming a generation of young African-Americans. First and foremost, Common Core testing has branded a large percentage of black youth as failures. In New York, only 19.3 percent of black students demonstrated proficiency on state math tests and 17.6 percent demonstrated proficiency on state English language arts tests. Do these numbers light a fire under educators to do a better job? Maybe. But they also mean that the educational system is signaling to many black children that they have no future in higher education or the modern workforce. Second, the Common Core focuses attention on math and English test prep above all other academic or extracurricular pursuits. The Race to the Top program incentivized states to adopt the Common Core as well as a testing regime that punishes teachers or schools with low student test scores. In New York City, the Success Academy charter schools excel on the Common Core tests. How? According to one administrator, by turning children into “little test-taking machines.” It goes without saying that many wealthy parents would never accept such an education for their children; in practice, the Common Core widens rather than narrows the opportunity gap. Finally, the Common Core dedicates limited resources to textbook and testing companies rather than teachers and children. The Race to the Top program awarded$330 million to two Common Core testing consortia: PARCC and SBAC. Schools, in turn, must purchase aligned-curricula as well as the technology to run the online Common Core tests. Meanwhile, financially strapped school districts are cutting art and music programs that stimulate brain development and teach skills such as cooperation and perseverance. This is a tragedy for all students, including African-American ones. We share the National Urban League’s ambition to prepare black youth to succeed in the 21st century global economy but disagree that the Common Core is the way to make that happen. So far, the Common Core is draining educational budgets, narrowing the curriculum and turning students into little test-taking machines. This is no way to advance the civil rights legacy. Instead, we should recommit to the principle that all children, of whatever race or background, can attain the same kind of education only available, right now, to the children of privilege. UOO has encouraged parents to opt their children out of high stakes standardized testing in an effort to deny the corporate model of education reform the data they need to profit off our children’s education. Parents have a right to say no to policies and practices that they believe are unethical and harmful to their children. Although many states and education leaders claim that opting out is not legal, UOO has developed state guides that inform parents of their right to opt out is indeed a recognized right for parents to have control over the education of their children. UOO also instructs parents on how to inform the principal at their child’s school that they will be opting out of high stakes testing. Some parents have felt resistance and have been scared into thinking that if they opt their child out it will have a negative effect on their school but to date that has not happened and thousands of parents across the country have been successful in opting their child out of high stakes standardized tests, field testing, and testing used to evaluate teachers. Parents are our first line of defense when it comes to opting out because unlike teachers they cannot be fired for their decision. However, teachers are increasingly choosing not to administer tests that they know are harmful to their children. In January 2013, teachers at Garfield High School in Seattle Washington voted not to administer the Measures of Academic Progress (MAP) test to their students. The teachers argued that the tests lacked any significant value because they were not aligned to the state standards. Superintendent Jose Banda threatened to suspend any teacher who did not administer the test but after receiving numerous emails and calls of support from parents he backed down and the teachers were not punished for their actions. In February 2014 both Drummond Elementary School and Saucedo Elementary School boycotted the Illinois Standard Achievement Test (ISAT). Parents, students, and teachers were also threatened with dire consequences if they went through with the boycott but they refused to back down. As the opt out movement continued to grow, President Obama continued to pay lip service to the concerns of parents, teachers, and students about the alarming increase of high stakes testing. During his State of the Union Address in 2012 he called for an end to teaching to the test and this past month he issued a statement that appeared to be a call to reduce the escalation of high stakes testing. The Christian Science Monitor writes that President Obama said, “I have directed [Education Secretary Arne] Duncan to support states and school districts in the effort to improve assessment of student learning so that parents and teachers have the information they need, that classroom time is used wisely, and assessments are one part of fair evaluation of teachers and accountability for schools,” in a statement on Wednesday October 15, 2014. Two days letter Secretary of Education Arne Duncan writes an article for the Washington Post where he claims to support the cutback in testing but continues to argue that tests are the best ways for parents to know how their students are performing. Dr. Yohuru Williams, a professor and education activist reminds us that these words are not surprising given that we are in an election year and that we should not be fooled into thinking that the Obama Administration is going to back down from the mantra of high stakes testing. Despite the continued rhetoric that does not correspond to real action from our supposed education leaders, teachers, parents, and students continue to fight back and say no to corporate education reforms that seek to privatize public education. Last month, kindergarten teacher Susan Bowles from Gainesville, Florida issued a statement to the parents of her students that explained why she would not be administering the Florida Assessments for Instruction in Reading (FAIR) tests. Citing her ethical concerns that administering a test for six weeks to kindergarten children was not something she could do in good conscience she risked being fired to do what she felt was right. In response Florida education officials have dropped the FAIR test for kindergarten students throughout the state. A small step but immensely important victory for the opt out movement. Following closely in Bowles steps, Peggy Robertson, an administrator for UOO and a teacher in Aurora Colorado also issued a letter stating that she refuses to administer the Partnership for Assessment of Readiness for College and Careers (PARCC) test, a new test aligned to the Common Core State Standards (CCSS). She argued that the tests along with the CCSS “have placed unrealistic expectations on our youngest learners, many who now view themselves as failures because they are unable to meet the developmentally inappropriate expectations set by the . . . standards.” UOO next issued a plea for unions to support teachers who refuse to administer the test. When asked by Washington Post reporter Valerie Strauss if they would support teachers who refused to administer the test both NEA and AFT said they would support teachers who did not administer the test but failed to elaborate on what kind of support they would issue. So what should be our next move? We know we cannot wait for the Secretary of Education to follow up his claims with tangible actions that actually reduce or eliminate our national reliance on high stakes standardized testing. And we know that we cannot continue to allow our children to be over-tested and turned into data points instead of human beings who are entitled to a high quality public education. So we must continue to fight. But we need to be strategic in how we fight. The unions say they will support teachers but what will that support look like and will it be enough? The only way to know for sure is for more teachers to refuse to administer the test. If teachers are disciplined for their refusal then we will demand that the unions offer the support they promised. Now we understand that every teacher is not in a position to risk losing his or her job. 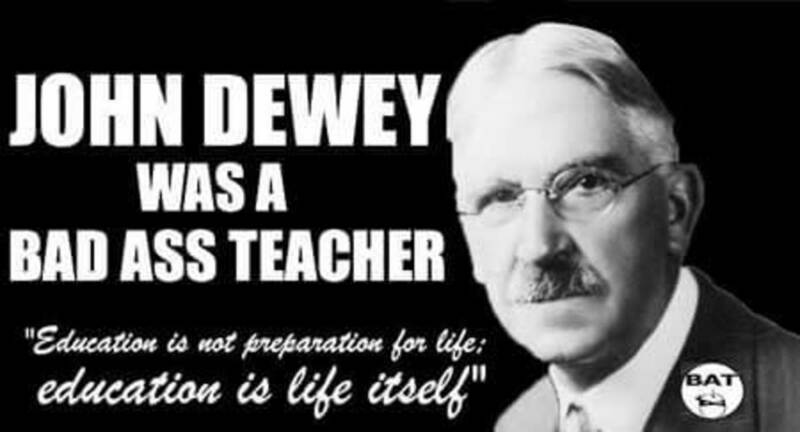 Many teachers work in right-to-work states and have zero protections including tenure and the right to due process. And although the unions claim they will support teachers who refuse to administer tests we do not know what this support will look like and if it will keep teachers from losing their jobs or being disciplined. So we are looking for teachers who are preparing to retire or leave the profession and are willing to risk retaliation if they refuse to administer the test. If the teacher is disciplined or fired for their actions we will reach out to their union leaders to demand the support and advocacy they said would be there. Then we will know just how far the unions are willing to go to support teachers. Therefore, if you are willing and able to refuse to administer high stakes standardized tests, which are not a valid and reliable measure of student’s ability and promise, please write and publish a letter stating your intentions. Send a copy to info@unitedoptout.com so we can keep track of your situation. Together we can deny the corporate reformers the data they so desperately need and drive out the testing insanity that has dismantled our public education system. To learn more about how you can actively fight back against corporate education reforms, please join United Opt Out at their Standing Up for Action Spring Event January 16-18th at the Broward County Convention Center in Ft. Lauderdale Florida. In honor of Dr. Martin Luther King, UOO is hosting an event that brings advocates for public education together to form plans of actions. For more information and to register visit our Eventbrite page. Denisha Jones is a professor in the School of Education at Howard University. She is former kindergarten teacher and preschool director. 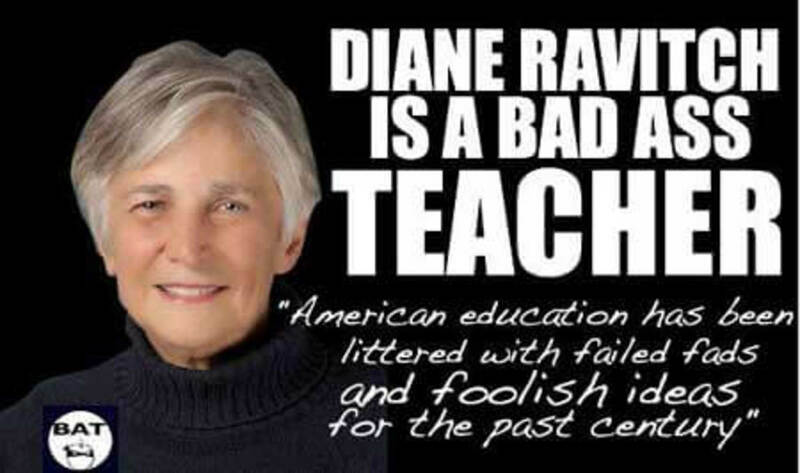 She is an admin for the Badass Teachers Association and United Opt Out. Check in YouTube if the id TheBadassTeachers belongs to a username. Check the FAQ of the plugin or send error messages to support.